During these cool summer nights, in the dark corners of a crisp midnight sky- you’ll find a billion of reasons why August is a perfect month to be stargazing. The month of August is a host to a multitude of celestial events. We just had the glorious Blue Moon a few days ago, and now have a chance to observe the finest light show of the year- the Perseid Meteor shower. 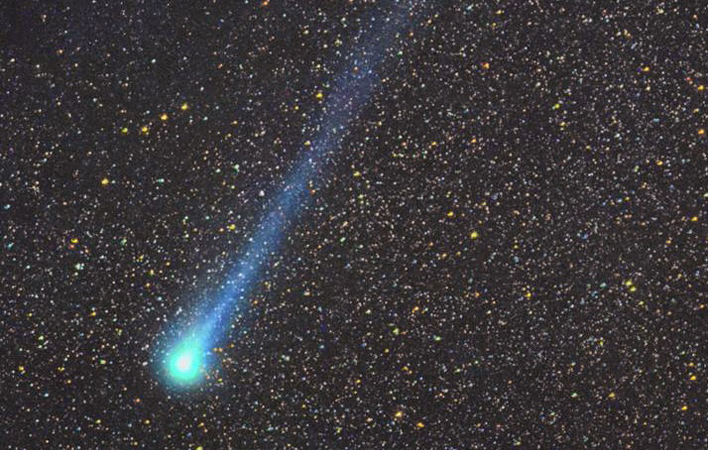 Visible Worldwide, the 2015 Perseid Meteor shower can be viewed on the mornings of August 11-14th. Under the dark, cool summer nights- one might be able to see 50 or more meteors per hour (depending on light pollution).The Perseid Meteor shower is produced by comet Swift-Tuttle, which was discovered in 1862. As it orbits the Sun, this big “dirty snowball” sheds tiny grains of rock and dust. Over time, the particles spread out along the comet’s orbital path. Earth flies through this path every August, sweeping up some of the dust grains. They plunge into our atmosphere at more than 100,000 miles per hour, vaporizing as the streaks of light known as meteors.